Toyota Motor Corp. is set to expand operations in Russia, partnering with Russian automaker Sollers to help build Toyota-brand cars in the far east of the country as it pushes further into emerging markets, the Nikkei newspaper said. In December last year, Vadim Shvetsov, CEO of Sollers, told reporters that a joint venture with Fiat S.p.A. and Chrysler's Jeep unit, will make up to 500,000 Fiat and Chrysler vehicles a year in the country. 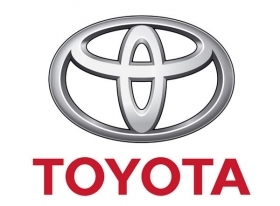 Toyota will provide parts and train personnel for a venture owned by Sollers and Japanese trading house Mitsui & Co. which will aim to build 30,000 Toyota-brand vehicles annually, the newspaper said. Toyota spokesman Paul Nolasco declined to comment. The factory in Vladivostok may assemble just one model and Mitsui will transport the cars via the Trans-Siberian Railway to sell them throughout Russia, the newspaper added. Toyota has also been producing cars at a unit in St. Petersburg since 2007. Automobile sales in Russia are expected to grow 18 percent this year to 2.24 million cars, according to private industry body the Association of European Businesses (AEB). The Russia joint venture will build a Fiat compact hatchback and sedan, a subcompact, and a large sedan as well as the Jeep Grand Cherokee and Wrangler and Compass/Patriot and Cherokee replacements. The venture will also make transmissions and engines in Russia. The expansion of the Jeep brand in Russia is part of Chrysler's plan to double Jeep global sales from 400,000 units planned this year to over 800,000 units in 2014.